Marcetta Dyer's career in real estate spans over twenty-five years. She has accumulated a wealth of experience in all levels of sales, marketing and property management. She started as a leasing consultant in the Central Florida area and continued her career path as Property Manager, Asset Manager of distressed communities and Sr Vice President of Training and Marketing. Her experience includes: multifamily apartment homes, single family homes, retail, industrial, office and self storage management. She has been involved with government funded homes, renovation and re-positioning of apartments, and new construction of A+ communities. She is an active Broker/Sales Associate and holds the designation of Certified Property Management (CPM) through the Institute of Real Estate Management, Member of Luxury Marketing Home Institute, ABR-Accredited Buyers Representative, MPR-Military Professional Representative. She has lived the majority of her life in Central Florida and the Tampa Bay area and focuses on the trends of the changing home market. She is known for "thinking outside the box" to achieve the goals of her clients. Her expertise is listening to her client's wants and desires to find the perfect home while providing excellent customer service. By delivering an outstanding customer experience she receives many referrals. She is a great negotiator and goes that "extra mile" to satisfy her customers. Her hobbies include sailing, travel, classic cars and an active volunteer with the Cystic Pibrosis Foundation of Central Florida. She is a member of Women with a Purpose, Infinity and Women's Service League. 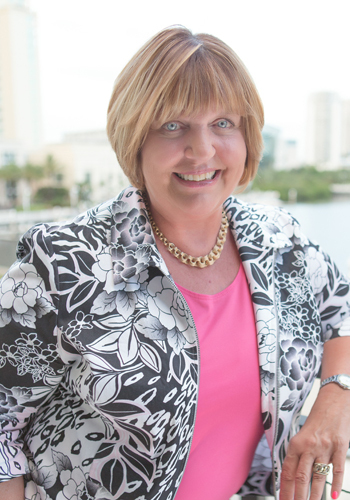 Judy grew up in the Tampa Bay area and has a passion for people, lifestyle and exciting growth of the gulf coast region. She is a proud graduate of the University of South Florida with a degree in Business Management. After college Judy owned multiple restaurants and businesses in the North Tampa area. After eleven successful years in the hospitality industry, Judy became Director of Operations for MEC Entertainment Corp in Pittsburgh, Pennsylvania. Five years later, she accepted a position as Director, Community Outreach and Service for a large medical center in Seattle, Washington. She specialized in relationship building and partnerships with nonprofit and for profit organizations interested in promoting the health and well being of the Puget Sound community. After a total of thirteen plus years, traveling and working throughout the United States, Judy has gained a unique perspective on how to assist individuals and families transition to new environments and how important is is to have a trusted advisor to count on! 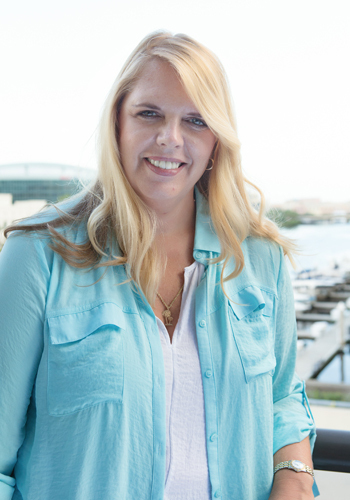 The opportunity to be of service in this way, along with the constant sound of the Gulf beaches calling her name, is why she moved back to the Tampa Bay area. She is excited to be a part of assisting others on their adventure to find the perfect home in the beautiful Tampa Bay region. Bill began his professional career as a practicing CPA with a Big 4 firm (Ernst & Young) and for 14 years served a variety of clients primarily in the financial services industry. For the next 9 years, Bill was Chief Financial Officer of an insurance company and subsequently President of another insurance company. In 1996, Bill relocated from Baltimore, Maryland to Madeira Beach where he has resided since. Bill has owned and self-managed several residential investment properties since arriving on the beautiful gulf coast of Pinellas County. Bill is a business partner with his wife, Marcetta Dyer who has spent most of her professional life in the real estate industry and is also a Broker Associate with Coastal Properties Group International. 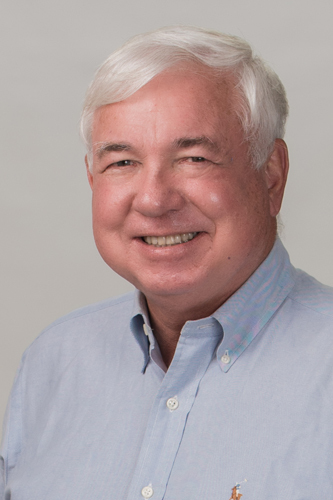 With his background in accounting and finance, Bill recognizes the importance of details and is uniquely qualified to determine the value of a property, based on comparable market transactions, and appropriately presenting this information to clients, whether they are buying or selling. We collect information (name, phone number, email address, address) from you when you register on our site or fill out a form. We may use this information to provide the information you requested or to communicate with you regarding our real estate services. We value our client's privacy. We NEVER rent or give out you personal information.